Protect yourself and your data from hacking with these tips. Discover how to make your passwords safe, secure and simple using Phoenix 360.
iolo Phoenix 360 is an excellent package – particularly thanks to the inclusion of the superb System Mechanic Pro and Malware Killer. We can’t help feel that it might have been more convenient if the other tools were rolled into System Mechanic though, in the interest of convenience. Entrepreneurs and small business owners have to wear a lot of hats, and when a product comes along that can take on some of the responsibility for keeping the office running smoothly, it tends to earn a lot of loyalty. System Mechanic by iolo technologies is that kind of product. Part five of an interview with iolo Labs’ Damian Giannunzio on one of the nation’s leading technology radio shows. In the interview, Damian talks about the new featured added in System Mechanic 14.6 and how they can speed up a PC. Part four of an interview with iolo Labs’ Damian Giannunzio on one of the nation’s leading technology radio shows. In the interview, Damian talks about the new featured added in System Mechanic 14.6 and how they can speed up a PC. An updated very positive video review of System Mechanic that continues a very positive review of the program the video reviewer posted early in the year. A very positive review of System Mechanic (9/10 score) that gives the program high marks for its usability and ability to optimize PCs. A very positive review of System Mechanic that breaks down the program and highly recommends it to viewers looking to improve the performance of their PCs. Part three of an interview with Damian Giannunzio one of the nation’s leading technology radio shows. In the interview, Damian discusses System Mechanic 14.6 and how it can speed up slow computers. System Mechanic included in a back-to-school shopping guide. The post includes a very positive blurb about the program and links to a product page. Part two of an interview with Damian Giannunzio on one of the nation’s leading technology radio shows. In the interview, Damian discusses the updates added in System Mechanic 14.6 and how they can speed up PCs. Part one of an interview with Damian Giannunzio on one of the nation’s leading technology radio shows. Damian discusses the features added in System Mechanic 14.6 and how they can speed up a PC. A posting of the System Mechanic 14.6 press release on the website of one of the nation’s leading technology radio shows. A very positive review of System Mechanic that gives a walk-thru of how the program works and highly recommends it to readers. A very positive review of System Mechanic that gives the program high marks for its expansive feature set, ease of use and value. A very positive app spotlight post about System Mechanic breaks down how it works and gives an overview of the features in the program. A business advice round-up that includes a blurb about iolo and includes a piece of advice from iolo’s JJ Schoch. A very positive review of System Mechanic that highly recommends the program for its ability to clean out and speed up PCs. A very positive review of System Mechanic that gives an overview of how the program works and highly recommends it to readers. A very positive review of System Mechanic that breaks down how the program works and gives it high marks for its ability to optimize PCs. Part four of an interview with Damian Giannunzio on one of the nation’s leading technology radio shows. In the interview, Damian discusses how to clean computers and how System Mechanic can help. A very positive video review of System Mechanic that breaks down how the program works and recommends it to viewers. System Mechanic selected as the top tune-up utility on the market in an updated tune-up utilities round-up from the world’s leading PC-focused publication. The post includes a very positive blurb of System Mechanic and maintains the programs Editors’ Choice Award while linking to a very positive review of the program by the publication. A very positive review of System Mechanic that gives the program high praise for being a reliable solution for optimizing PCs. Part three of an interview with Damian Giannunzio on one of the nation’s leading technology radio shows. In the interview, Damian discusses how to clean up PCs and how System Mechanic can help. System Mechanic | Speed Up Your PC! A very positive video review of System Mechanic that highly recommends the program for its ability to optimize PCs and keep them running smoothly. A very positive review (5/5 stars) of System Mechanic by one of the world’s leading software review sites. The review gives the program high marks for its valuable feature set and ability to optimize PCs and hands out a Software Informer Editor’s Pick award to the program. A giveaway post of System Mechanic on one of the leading Windows 10 news sites. The post gives a positive overview of the program and links to the iolo website. An updated profile page for System Mechanic Professional on one of the world’s leading software download sites. The update hands the program Soft82’s 5 Stars Award. A very positive review of System Mechanic Free that gives the program high marks for its ability to optimize PCs and for the value of its feature set. Part two of an interview with iolo Labs’ Damian Giannunzio on one of the nation’s leading technology radio shows. In the episode, Damian discusses how to spring clean a computer and how System Mechanic can help. A tech Q&A post from columnist Patrick Marshall in which a reader asks him about System Mechanic and he outlines what the program can do for the reader. An interview with Damian Giannunzio on one of the nation’s leading tech radio shows. In the interview, Damian breaks down how to spring clean your tech and touches on how System Mechanic can help. A positive video review of System Mechanic that mentions that the program has won PC Magazine’s prestigious Editors’ Choice Award. Part seven of an interview with Damian Giannunzio on one of the nation’s leading technology radio shows. In the interview, Damian touches on the new features included in System Mechanic 14.5 and how they can optimize PCs. A very positive review of System Mechanic that gives the program high marks for its ability to clean out and speed up PCs. System Mechanic Free retains Major Geeks’ Editors Pick award from the highly influential download site. The publication highly recommends the program for having a wide collection of valuable tools while still being free. A very positive review of System Mechanic by a popular mom blog that highly recommends the program to moms that are looking to optimize their PCs. An updated, very positive review (4.5/5 stars) of System Mechanic Professional by one of the world’s leading download sites. The review highlights the new features added in version 14.5 and gives the program high marks for its ability to optimize PCs. A very positive (5/5 stars) review of System Mechanic Free, updated for the latest version of the program by one of the world’s leading software news and review sites. The review highly recommends the program for its ability to optimize PCs and highlights the new features included in version 14.5. An updated very positive review (5/5 stars) of System Mechanic Professional that highlights the new features included in version 14.5. A very positive review of the latest version of System Mechanic by one of the world’s leading PC news and review sites. The review highlights the new features included in version 14.5 and gives the program high marks for its valuable feature set. A positive (3/5 stars) review of System Mechanic by one of Germany’s leading technology publications. The review gives the program high marks for its ability to clean out and optimize PCs. An updated, very positive (5/5 stars) review of System Mechanic by one of the world’s leading download sites. The review breaks down how System Mechanic works and highlights the new features added in version 14.5. An updated, very positive review of System Mechanic Free by one of the world’s leading PC news and reviews sites. The review gives the program high marks for its ability to optimize PCs and outlines the new additions made in version 14.5. An updated, very positive review (4.5/5 stars) of System Mechanic Professional by one of the world’s leading PC news and review sites. The review highly recommends the program for its expansive feature set and gives an overview of how it can optimize PCs along with highlighting the new features added in version 14.5. A very positive review (8/10 rating) of System Mechanic by one of Germany’s leading technology publications. The review gives the program high marks for its ability to optimize PCs and ease of use. A very positive review of System Mechanic Free (3.5/5 stars) by one of the world’s leading tech review sites. The review gives the program high marks for its ability to clean out and speed up PCs and highly recommends the program to readers. A computer tips segment with leading tech reporter Rich DeMuro on one of Los Angeles’ leading network television station’s KTLA. The segment features an interview with Damian Giannunzio in the iolo office as he offers tips about how to maintain and optimize PCs and includes a prominent highlighting of System Mechanic and iolo along with a link to the iolo website. The segment was broadcast on the station, which reaches more than 8 million homes, this morning and featured on KTLA.com, which has more than 3.7 million unique monthly viewers. Part six of an interview with Damian Giannunzio on one of the nation’s leading technology radio shows. In the interview, Damian discusses the latest version of SM and the new features added to the program. A quick feature about the latest version of System Mechanic includes a quick blurb from Damian Giannunzio about version 14.5. How is System Mechanic helpful? A feature article that breaks down how System Mechanic can be helpful for different kinds of PCs. The article highly recommends the system for low-end and high-end systems. A very positive review of System Mechanic that highly recommends System Mechanic for cleaning out and speeding up PCs. A very positive (4/5 stars) review of System Mechanic 14.5 in one of the world’s leading technology publications. The review gives the program high marks for its ability to optimize PCs and highly recommends the program to readers. One of the leading authorities on tech news and product reviews, TechRadar has more than 1.6 million unique monthly viewers. A very positive review of System Mechanic Professional (4/5 stars) that highlights the valuable features of the program and explains why it is an excellent program for those looking to optimize their PCs. A very positive review of System Mechanic that highly recommends the program for those looking to improve the performance of their PCs. The post was also shared on the publication’s popular LinkedIn Group, which has more than 170,000 members. A very positive review of System Mechanic 14.5 that highlights the new features included in the new version and gives the program high marks for its ability to clean out and speed up PCs. System Mechanic Professional given a “gut” rating by one of Germany’s leading technology publications in a very positive (81.3/100 score) review. The review gives a breakdown of the new features introduced in version 14 and recommends the program for optimizing PCs. A very positive review of System Mechanic (8.3/10 score) that gives the program a high rating for its effective features and appealing user interface. A radio interview with Damian Giannunzio in which he discusses the release of System Mechanic 14.5 and the new features included in the update. A feature post for Clean Out Your Computer Day that uses the tips given by iolo for the holiday that links to the iolo website. A tips post for Clean Out Your Computer Day that uses iolo’s tips for the holiday and links to the iolo website. One of the world’s leading business publications, the online version of Inc. has more than 7 million unique monthly viewers. A very positive review of System Mechanic 14.5 that highlights the new features included in the update that also includes a giveaway of the program. A feature post that highlights Clean Out Your Computer Day 2015 that recommends System Mechanic as an excellent option for optimizing a PC. A very positive review of System Mechanic (9/10 “excellent” score) by one of the world’s leading download sites. The review gives the program high praise for its ability to increase the performance and speed of PCs. One of the world’s leading resources for software news, reviews and downloads, Softonic has more than six million unique monthly visitors. A news note in one of the nation’s leading computer-focused magazines that highlights the new features added in System Mechanic 14.5.
Review: iolo System Mechanic 14.5! A very positive review of System Mechanic that breaks down the new features included in version 14.5 that highly recommends the program to optimize PCs. A very positive review of System Mechanic that gives a rundown of how the program works and gives the program high praise for its ability to optimize PCs. A very positive review (5/5 stars) of System Mechanic that gives the program high marks for its ease of use and performance. Part two of an interview with Damian Giannunzio on one of the nation’s leading technology radio shows in which he discusses the new features included in System Mechanic 14.5. A very positive review of System Mechanic that gives the program high marks for its ability to optimize PCs. A feature post in one of Australia’s leading family-focused publications that explains how to clean out a PC that recommends System Mechanic as an excellent option. System Mechanic selected as the top system utility on the market in a round-up published by one of the nation’s leading technology publications. The publication awards System Mechanic the top spot based on the programs ease of use, expansive set of tools and ability to optimize PCs. A very positive review of System Mechanic Professional (4.5/5 stars) by one of the world’s leading tech authorities. The review gives the program high praise for its expansive feature set and its ability to improve the performance of PCs. A very positive review of System Mechanic (5/5 stars) in one of the world’s leading technology publications. One of the most influential publications that covers PCs, LAPTOP has more than 630,000 unique monthly viewers. The publication presents the program with its 2014 Excellence Award and its 2014 Gold Award as the best PC system utility on the market. A very positive review of System Mechanic Free (5/5 stars) in one of the world’s leading technology sites. The review gives the program high praise for its ability to optimize PCs and keep users from having to purchase new machines. A positive review of System Mechanic Free (3.5/5 stars) on the editorial side of the world’s leading download site. The review gives the program high praise for its wide range of tools and ability to optimize PCs while remaining free of charge. A very positive review of System Mechanic (4/5 stars) in one of the world’s leading technology publications. A very positive (4/5 stars) review of System Mechanic 14 in one of the world’s leading technology publications. The article gives a breakdown of the new tools included in version 14 and gives the program high praise for its ability to improve the performance of PCs and the affordability of the valuable program. System Mechanic is recommended as the first product in this USA Today article listing five essential tools for elderly computer users: “you’ll notice a difference just by running the software on default settings” as “it works its magic”. System Mechanic 10.5 is praised for its industry-first Whole Home Licensing in this PC performance software round-up. 10 ways to apply & wipe off Digital Lipstick. The makeup of internet privacy. One of System Mechanic 10.5’s more than 50 tools – Privacy Cleaner – recommended as a way to protect computer users’ privacy. A glowing review in New Zealand’s top newspaper that calls Program Accelerator “most intriguing” and Whole Home Licensing “most attractive” new feature of System Mechanic 10. Top analyst firm recommends that PC manufacturers include PC tune-up in their offering. A short, positive System Mechanic 9.5 write-up, highlighting EnergyBooster, Tune-up Definitions and helpful status overviews. A six-page-long cover story on System Mechanic. praising it as the best PC performance program. JJ Schoch of iolo technologies discusses the two new causes of PC slowdown discovered by iolo Labs: program misalignment and redundant software. An early announcement of System Mechanic 10, which explains how Program Accelerator and CRUDD Remover are useful and effective. New System Mechanic Business with Network Deployment Manager described in this important channel publication. This important channel publication announces new System Mechanic Business with the Network Deployment Manager. Is Your PC Too Sick to Save? Popular mommy blog’s enthusiastic review of System Mechanic 9.5. Since installing the program, blogger’s PC has been problem-free, with quicker boot-times and increased performance. A detailed review of System Mechanic 9.5, which is praised as a “reliable tool” to prevent PC slowdowns. System Mechanic featured on this morning television news show segment about cool tech gift ideas for dads and grads. Canada’s largest news source praises System Mechanic 9.5. Technology reporter is pleased with her “clean as a whistle” PC after using the program. Is There an Eco in Here? A positive review of the bilingual French-English version, available in retail and online locations across Quebec and Canada. Brief write-up on iolo commanding 98 percent of the PC utilities market in Canada. A positive review of System Mechanic 9.5 on this leading Spanish-language site. This important resource site for small businesses shares iolo’s statistics on PC clutter’s impact on workplace productivity and tips on how to achieve a cleaner and faster computer. A positive review of System Mechanic 9.5 around Clean Out Your Computer Day, which praises the fact that “everything needed is in one place” as its main advantage. Today is Clean Out Your Computer Day! 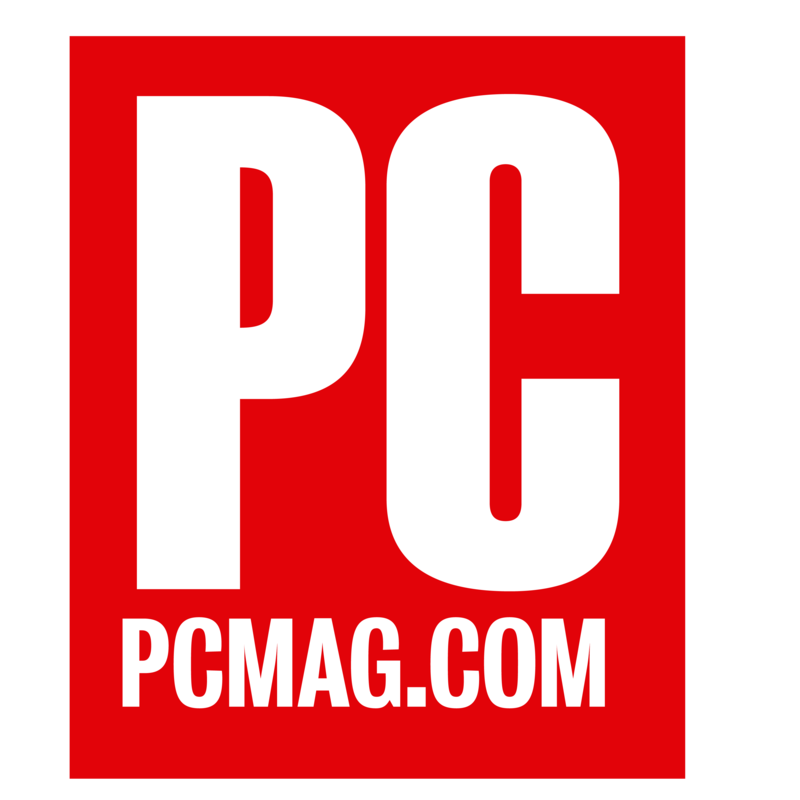 Top technology magazine reviews the reasons why computers slow down over time and mentions System Mechanic 9.5 as a tool to improve PC performance. One of the largest newspapers in the U.S. discusses ways to keep your PC in optimal condition around Clean Out Your Computer Day and recommends System Mechanic 9.5. System Mechanic 9, “the latest iteration of a veteran fix-it program, well respected among Windows users,” is praised for its comprehensive solutions and ease of use. The largest newspaper in West Australia praises System Mechanic 9 for “marked speed improvements even in simple tasks like opening windows” and highly recommends it to its readers. After in-depth testing, CNet recommends System Mechanic 9 to keep those new Windows 7 machines in shape. The reviewer praises the “nice, intuitive interface,” one-click fixes for novices, and “truly likes” System Mechanic’s set of comprehensive tools. iolo technologies is named one of the Top 50 Places to Work in LA and praised for achieving great successes over its 11 years in business while maintaining a very entrepreneurial and collegial environment. This in-depth review highlights the versatility and performance gains provided by System Mechanic 9. It is easy to use, with an elegant interface and an extraordinary degree of customizability and fine control; a great way to stay on top of all the things which can drag down system performance. This write-up on new System Mechanic 9 stresses Tune-up Definitions and Windows 7 compatibility and highlights such new features as EnergyBooster, Total Registry Revitalizer and Incinerator. Another positive article on the new System Mechanic 9, which focuses on Tune-up Definitions and highlights the speed and depth improvements in version 9, quoting data and statistics. This excellent article on new System Mechanic 9 features the exclusive and industry-first Tune-up Definitions, as well as EnergyBooster, Incinerator, Total Registry Revitalizer and the Vista gadget. This in-depth story on System Mechanic Business explains PC problems and slowdowns resulting from everyday business use, and the time and electricity savings that can be achieved using System Mechanic. This detailed article on System Mechanic Business mentions small businesses’ lack of budgets for dedicated IT personnel or new hardware purchases, and the number of computer problems caused by software and everyday use that can be fixed with a simple PC tune-up. iolo quoted as an expert in this article on how small businesses and entrepreneurs can extend the lifespan of their computers. ZDNet editor recommends System Mechanic as a green technology which will keep your computer running for longer, saving money on hardware replacements and electricity bills. Speed Up Your Computer Giveaway! Another popular mommy blog editor notices her computer is “fast, never lags or freezes” after running System Mechanic. iolo interviewed as an expert in this segment on spring cleaning your PC on NY1 News. The segment highlights the need for PC tune-up and the benefits offered by System Mechanic.